The Official Gazette of the United States Patent and Trademark Office: Patent is published weekly online, as the Electronic Official Gazette - Patents (eOG:P). It provides a summary of the patents issued each week. The eOG:Pcan be browsed by classification or type of patent, for example, utility, design, and plant. Specific patents can be accessed by class/subclass or patentee name. It is a useful tool for monitoring new patents, particularly if you know the patent class and subclass you are most interested in viewing. The Official Gazette provides indexes by patent class and subclass, by patentee, and by the geographical address of the inventor. Links to the full-text of the patents described are also available. 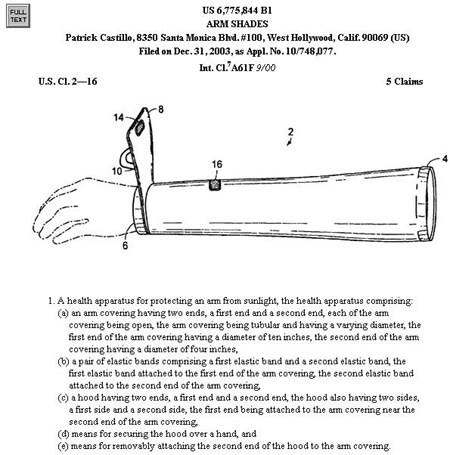 Various notices from the Patent and Trademark Office are also included in each issue.